Poll: How should R.C.L. react to lava? Poll: Do you support this idea? 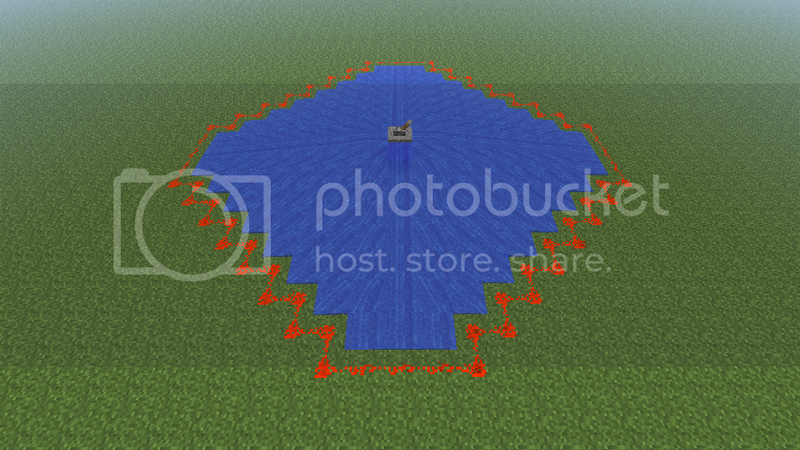 Ok the idea for this is actually fairly simple, have a liquid which can carry a red stone current when charged. I'll post some pics to demonstrate the point of this. 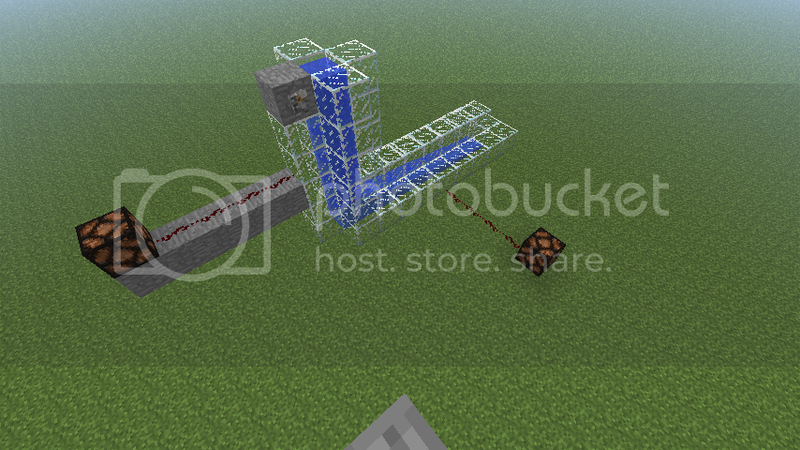 The purpose of the liquid is to quickly and effectively transfer a redstone current to any block touching the Redstone Conductive Liquid (R.C.L.) when its powered via switch, button, or other powered redstone [The only block that this is an exception to is obsidian as the liquid has problems transferring the signal through the tough material]. The appearance of the R.C.L. would be like water but with a red hue when in the un-powered state, and a glowing red hue when powered. When The R.C.L. Is powered it will be harmful to the touch as well, making it useful for traps as well; to keep this aspect of the R.C.L. 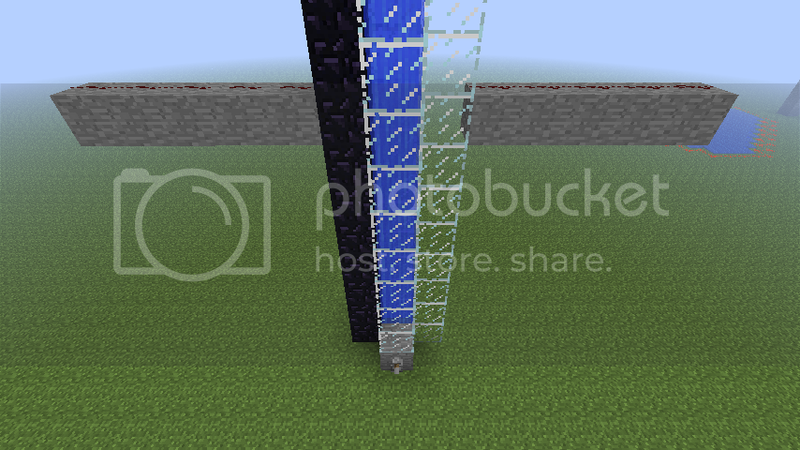 balanced it will also destroy items and xp so that it can't be used for super easy mob farming. When killing a mob or player in the on state the entity will be surrounded in the electric armor that powered creepers wear. When a Creeper comes into contact with powered RCL they will not be harmed instead they will become supercharged. R.C.L. will not be able to be placed in the nether as it is made mostly of water, this is used for balancing as it adds a negative effect to the liquid. When coming into contact with water R.C.L. will stop spreading and stop transmitting power. When a water block touches an R.C.L. source block it will be diffused and revert back into a normal water source block. When comming into contact with lava R.C.L. will ? 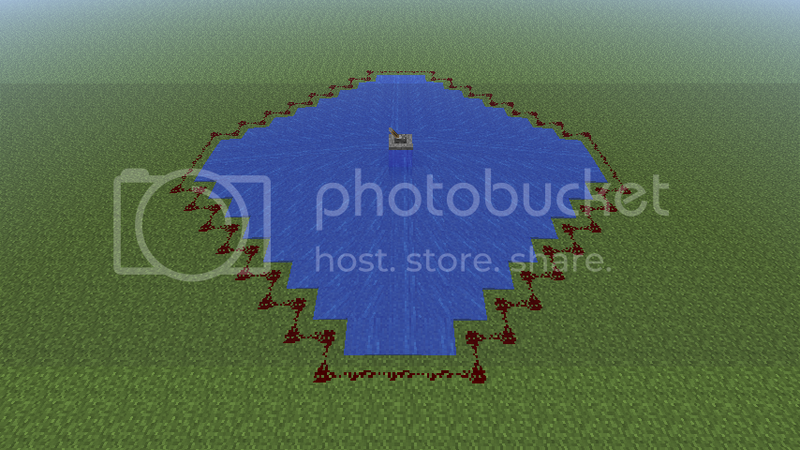 Easy way- just put a bucket of water in the center of the crafting grid and put redstone dust everywhere else around it. Hard way- throw a redstone ore block into a cauldron full of water. 2) The liquid is harmful to touch when powered but perfectly safe when un-powered. The damage the liquid will do will be equivalent to the damage drowning would do. (entity will wear the powered creeper armor to simulate being electrocuted.) Creepers will become supercharged and take no damage when coming into contact with powered R.C.L. 4) Can't be placed in the nether. 5) Water makes R.C.L. useless. If you like the R.C.L. Idea you might also be interested in my other two. Please check them out and comment if you get the chance. This would be an interesting way to make redstone more easily hidden. And it would certainly work great with the new addition of buckets in dispensers picking up and dispensing water. Why do people have youtube Minecraft videos that claim to be current version but were uploaded months ago? This is a brilliant idea. It would definitely help save redstone. Would the redstone signal speed up/slow down or lose strength while in the water? The redstone signal would stay at a constant no matter how long the R.C.L. goes. So as long as the R.C.L. is receiving power it will transmit a full signal to every block it touches (with the exception of obsidian. I would love to see this implemented. I'm already thinking of plenty of ways to use it. This makes sense. I like it. This would certainly allow for much more interesting redstone contraptions. I really hope Mojang will see this. If you ever get enough support for a mass url link tweet to the Mojangs twitters tell me and I'll try to be available for it. Click here if you support more interaction with the Villagers! 1. If the liquid is powered, and the droplet particles are dripping from a block that has the liquid on top, the droplet particles will power a redstone wire underneath for 1 tick, but won't give it a strong charge; only enough for the signal to travel a few blocks. If the droplets are slightly less common than with other liquids, it could be used as a random pulse generator. 2. The source block for the liquid, if it gets a signal from a repeater powering a nearby block, could allow the liquid to store the signal for a second or so. Great idea! This could also be used to solve the often-requested downward redstone! I'm thinking of so many uses. I support! Grab it from the O.P. The idea of having it store power for any period of time is in my oppinion kind of redundant as the effect can easily be achieved using repeaters. I support this idea. I think it would change the world of red-stoning for the better. Also, having the water be lethal when charged is a great security feature. May just have to add that to my secret fortress if this is ever added to the game. *laughs maniacally"
If you are having minecraft problems, make sure to check out the help site. Wow... gotta say, I'm not usually one who uses redstone, but even I like the idea, Jeb, where are you right now? lol. anyone have any other suggestions? maybe a way to make it more ballanced? Xbox: You mean a box with an X on it? Now that's liquid which can conduct Redstone! This is a great idea. But I think that the power should only be transmitted the 15 blocks that redstone power can normally be conducted. Any longer and then people start to abuse the system. 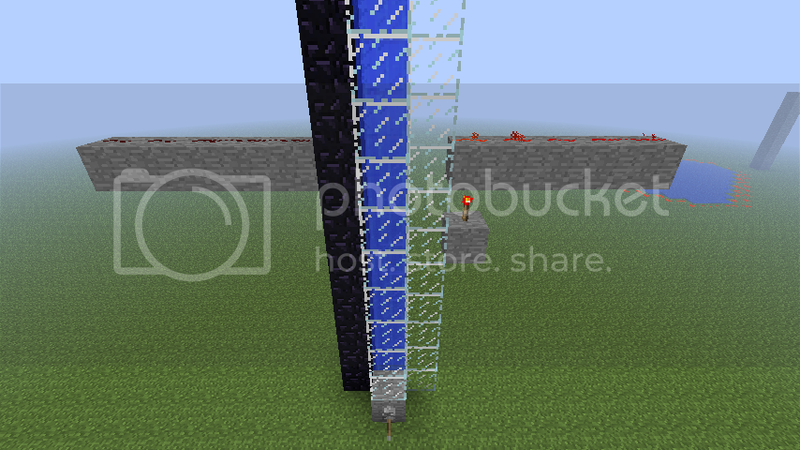 Think about it, if you place water in a 1x1 channel, it flows 7 blocks away from the source. Then if you dig under the last block, and make the channel longer a level lower, it goes another 7. 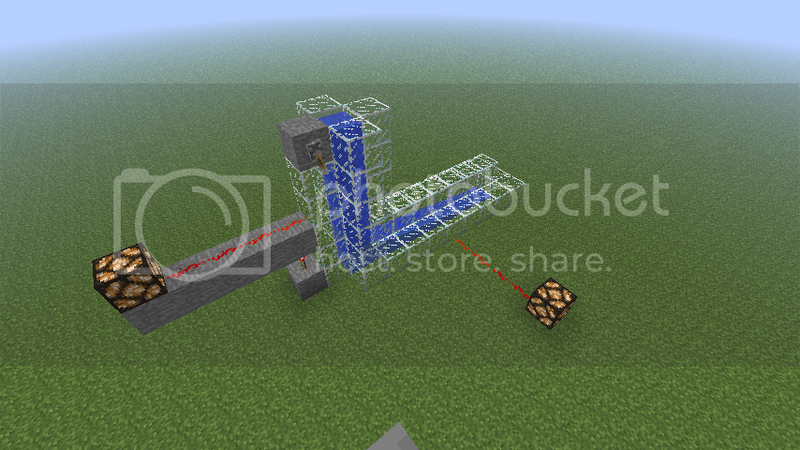 This infinite range that you propose would make current redstone wires, and repeaters useless for transmitting power long distances.